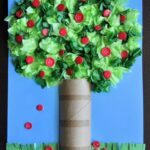 I have been posting Alphabet Crafts today. If you missed our first two, you can get caught up with our K craft. 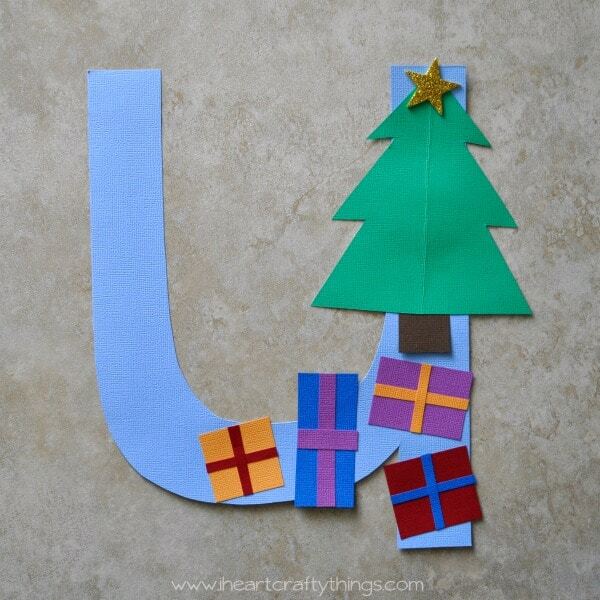 U is probably one of the most difficult letters to correspond with a Christmas or Winter Theme. 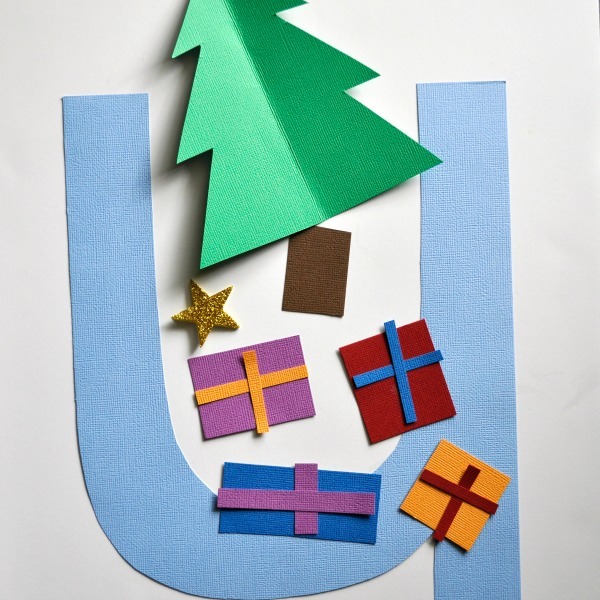 After some thought I went with one thing every child looks forward to at Christmas, U is for Under the tree. 1. Start by cutting a U out of a piece of colored cardstock paper. 2. 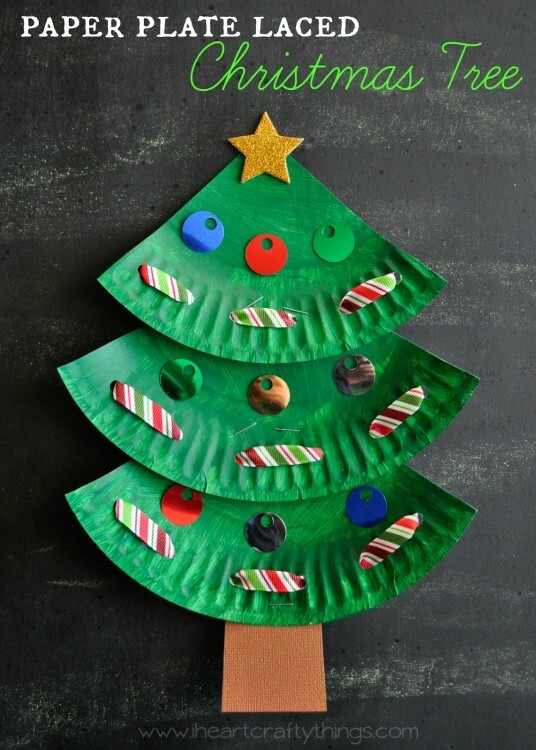 You will also need to cut out a Christmas tree with your green cardstock and a trunk with your brown cardstock. 3. 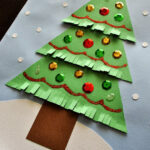 Finish your prep by cutting out different shaped presents and small strips for ribbon on your presents. 5. 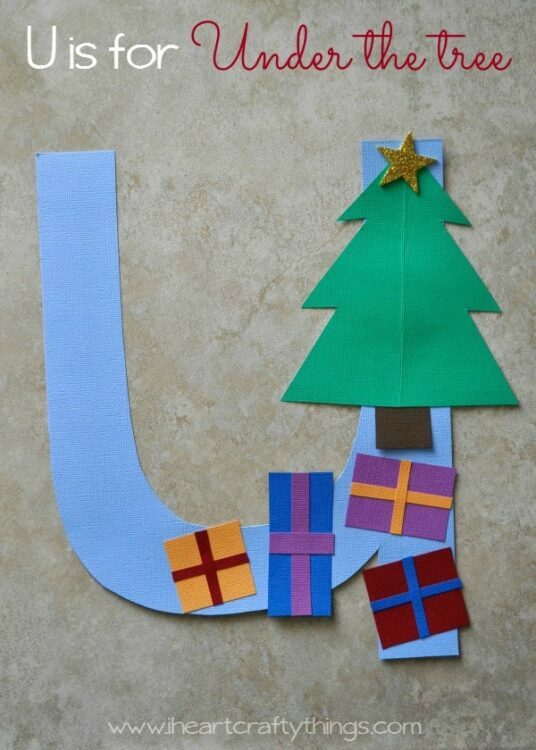 Glue your presents on the U under the Christmas tree. 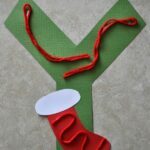 Such a simple craft that will help kids remember their U sound, and also get them excited to see what’s under their Christmas tree.